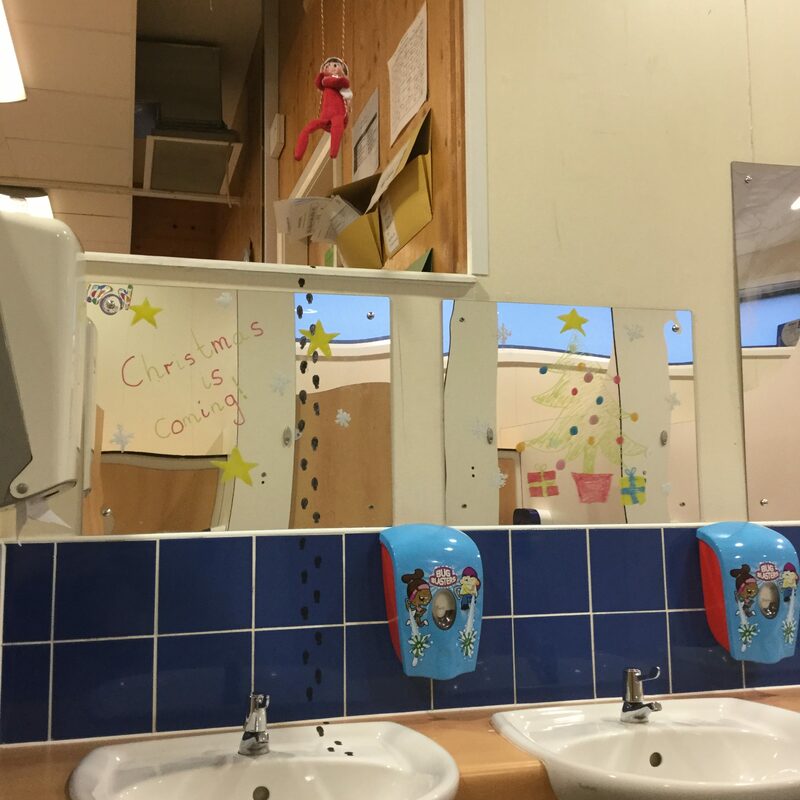 This morning Reception circles came into school to find a terrible mess in The bathroom. 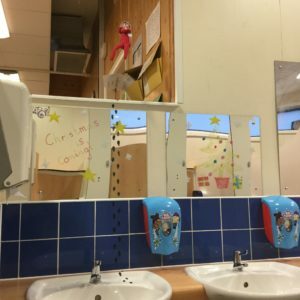 Elvis the Elf had been very naughty in the bathroom and had drawn Christmas decorations all over the mirrors and left dirty footprints all over the sink and walls. Oh no! What a cheeky Elf! What will he get up to next?! Keep checking our class page for the next Elf Adventure!